According to reports, Ivanka and Jared will reach Jaisalmer in a special chartered plane on November 22 and will head back on November 25. 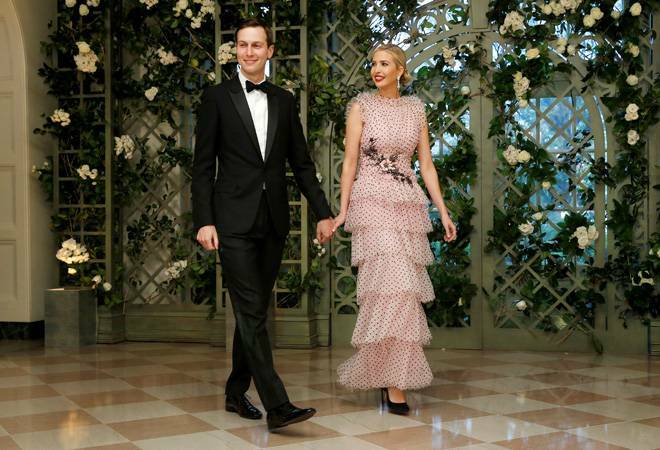 US president Donald Trump's daughter Ivanka Trump and son-in-law Jared Kushner, who also are his two senior advisors, may visit India this week. The couple will visit Jaisalmer to attend the wedding ceremony of a member of an industrialist family, a report by The Times of India said. The marriage Ivanka and Jared will be attending is from November 22 to 25. According to reports, Ivanka and Jared will reach Jaisalmer in a special chartered plane on November 22 and will head back on November 25. The report suggested that the couple might also spend a night in the desert, enjoying the sand dunes of the west Rajasthan. Neither the American embassy, nor the White House has confirmed Ivanka and Jared's plan to visit India. Meanwhile, the city administration has bolstered security arrangements in ahead of their visit. A team of 50 American embassy officials and security personnel have assessed Jaisalmer, the daily reported.